By the time, the Rugged Graphite® Controllers industrial working process has been developed depend on what users needed and purposes and intentional act. That’s why the main ideation to gain the ideas of better construction and other aspect, such to hold the cost of operations also become an important idea through the industrial process. Than due to the fact, there’s also come the manufacture which comes to offered several products and any types of intentional component to be back up that idea. Red Lion are one of named of former manufacture which offered several products to gain the ideation of industrial working process which can be choose by user depend on what they needed and intention. And here in this article we would go further more with one of Red Lion product called Rugged Graphite® Controllers. This article written out to pull out the overview of the products and gain the beneficial to face out what users needed. The Rugged Graphite® Controllers industrial has simple working systems such as a big picture in other control system design. It was kind of puzzled, which need to sizzling out with many components which can handle those big working process. Than that’s why, each component was needed to handle ideas. The Rugged Graphite® Controllers from Red Lion are designing to gain the best and suitable ideas for any types of industrial working process. Here is the specification for each of them. This product are kind of rugged standalone industrial controllers which can be uses for works with vary of I/O modules and combined with IEC 61131 control capabilities. It was supported with powerful Crimson 3.x software with crimson control, which can be used for such as. It was also prepared to operate at rugged industrial environmental specification such as; -40° … 70° operating temperature, IP 20 rated, and high vibration and shock tolerance. Belong with the other device, this product also comes with such of specification; IEC 61131 programming languages, map over 300 drives, and the intuitive drag and drop graphical software for easy setup belonging. There also the CE, UL/cUL hazardous approval. There are the powerful integrational functionality aspect which can be used to gain the remote visualization, access and control to reduce costs. Each of the Red Lion Rugged Graphite® Controllers are designed to shown out the graphite controllers excel which can keep the personnel with informed from the process and machining performance. It had abilities to gain over 300 different protocols, include the Modubus and DNP3, this ability shown that this product are ready to working for networking and data visualization. Red Lion Rugged Graphite® Controllers are kind of device which integrating the communication and control for kind of factory automation and process control apps. It was create to belong with kind of such ideas such as reducing cost and complexity that come up from the combination of IEC 61131 control capabilities. Allen-Bradley GuardPLC Safety Controllers consists of GuardPLC-1600-Safety-Controllers and GuardPLC-1800-Safety-Controllers supported by RSLogix Guard PLUS software, support chat and forums, software updates, and product safety advisories/notices to create GuardPLC safety application programs. This safety controller provide ten milliseconds throughput and exceptionally products performance at least high mean-time between failures to ensure this controlling system has good safety and reliability enough. Allen-Bradley GuardPLC Safety Controllers 1600 enable to read data from and write data to the GuardPLC controller via a Windows®-based PC which is similar Allen-Bradley® products done by 1800-Safety-Controllers that offers twenty eight safety digital I/O points with twenty inputs and eighty outputs. Allen-Bradley GuardPLC Safety Controllers 1600 sonpatible with Distributed Safety I/O modules for GuardPLC Ethernet software with GuardPLC™ controllers software configuration and Selection Tools cost-effective, packaged controllers are ideal for smaller applications. This controller contains an embedded four port Ethernet switch and an RS-485 port connection system. Allen-Bradley GuardPLC Safety Controllers 1600 enable to convert for competitive catalog numbers to Proposal Works. 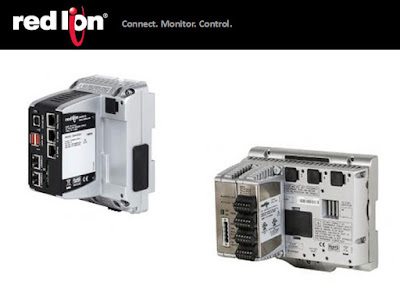 It means this safety controller has been build complete quotes and proposals and provide integrated digital I/O points and certified for use in applications to SIL three and to PLe/Category four of Other Resources. Allen-Bradley GuardPLC 1800 Safety Controllers has relatively secure in several implementation especially in the packaged controllers process including and offering 32 safety digital I/O points for specialized applications. The condition can be regard as emergency such as harsh and emergency condition that consist of four secure rated analog inputs. For some condition this safety controller also communicates over GuardPLC™ Ethernet and over EtherNet/IP™. Allen-Bradley GuardPLC 1800 Safety Controllers protect your people, productivity, and environment can help you meet your goals with one of the broadest safety portfolios. 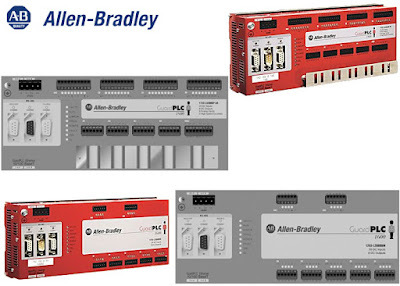 This includes with safety Components and integrated Safety Solutions regarding factory floor challenges and in the industry Removable terminal blocks make swapping controllers to create GuardPLC safety application programs that enable to discover how customers have applied Allen-Bradley® programmable controller. Allen-Bradley GuardPLC Safety Controllers completed with two safety rated high speed counters provide ten milliseconds throughput and exceptionally products performance for specialized applications. This safety controller has been Integrated with secure GuardPLC Distributed Safety controller products modules for specialized conditions such as emergency shutdown so that make many user can be used this for several industrial control application such as flame control and amusement-park ride control. Supervisory Control and Data Acquisition (SCADA) must be operated and managed properly. It is because sewerage facilities and the supply of water are important to safe up to cumfortable lives. 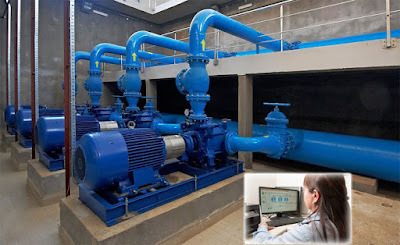 Supervisory Control and Data Acquisition (SCADA) is a technique to identify sewerage facilities and a water supply operational status quickly and accurately. An automatic control possible in smooth and facilities smart on operation. It is making the achievevement to conserve energy and quality of water target easy. In addition, SCADA water distribution system allows the management center for keeping facilities track like treatment plants and purification dispersed through wide area by an external of communication lines. Therefore, SCADA water distribution system can be adapted for appications in various in flexibe manner like unattended operations and plants wide area management. It offers an easy to use the systems of operators by experience decades and its expertise in water supply control plus monitoring and sewerage plants. The systems of operation allows real team power operating states in transforming and receiving componentes, equipment, instruments and devices ini sewerage facilicies and water supply. Water Distribution Management SystemIn recent years, to stable supply of water the efficiency use of water resources that has been coming important. As the facilities of water supply are being abolished and integrated, the solution for wide area of water operation is coming necessary. SCADA water distribution system of management is designed for realizing water distributions networks operation in efficient. It monitors and accumulates measured values like fluctuating of flow rates water distribution, water quality factors and pressure alarm issues when it can be detect by abnormal values. It enables in integrated an operation includes decision making quickly to handle abnormalities by well as operations reporting like implementation and analysis countermeasures implementation. SCADA water distribution system gathers informations of water distribution management quickly. It possible regular accros water distribution data management. In addition, it detects abnormalities in distribution pipes quickly. As cinfiguration example, it gathers automatically to trend data on network of wide area communication like pressure and flow rates in the points of measurement that distributed ini areas of water distribution. Inprovement of SCADA water distribution system helps to manage water distribution easyly that becoming helpfull technology. Labels: "Leading industrial automation companies in India providing PLC SCADA DCS training in Chennai. Best PLC training center in Chennai. 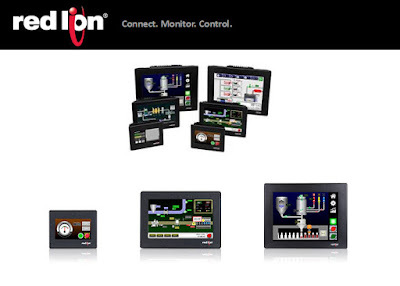 Automation in India"
Redlion HMI Operator Panels is part of the impact of modernization for the industries. There are so many aspects which could be change on any field that goes and involved of the industries. From the human resources aspect and more to the technological ideas, which need goes closer with the ideas for absolute state of the art which can be set up for system. Those ideas are nearly common with several products which launch and offered for recent time. Each product which launch and present are provide the best ideas of better automation solution. Than, due to the fact, that’s why there also so many manufacture are goes in pursue of perfection to create best and recent technology to support what the industries needed. Red lion as one of former manufacture on any kind of automation solution systems has also involved within those pursue for absolute state of the art. And on of Red Lion product called the HMI operator panels has been laterally known by the industrial person widely. And here in this article we would go further more to belongs with any beneficial information which users need to know. There’s always a change within the industrial and the people who belongs with the industries. That’s why it was totally an emerging idea for the Red Lion as the former manufacturing on automation solution has offered CR1000 and CR3000 HMI Control panels. This product is totally built to gain the best ideation for any industrial challenge. Than to realize those ideas, Red lion complete they HMI control panel with such of this features. Ready to operate on Environmental which surround the Industrial Specification such as; CE, UL/cUL, ready to used on wide operating temperature, and prepared for vibration and high shock tolerance. This HMI control panels from Red Lion are prepared to gain several ideas such as, OEM machine builders, factory automation, automotive, food and beverage industrial products, also the water or Wastewater facilities. Over those features highlights this product also ready to gain several benefits such as; wide variety for HMI touchscreen full color, it was offered around 4.3” to 15” ensure with the right fit for any applications. This device also prepared to use for the powerful integration capabilities such as, the crimson 3.1 software enables point and click configuration, user also can use it to be updated the 3D symbols and primitives for modern operator experience. CR1000 and CR3000 HMI Control Panel are the part of Red Lion automation series which create developed and offered to solve the ideation of user operator interface panels. This product was series totally ready to use with several industrial drives. The HMIs is also designed with several features to bring best beneficial act for the users. With the advance of technology the Intranet and the Internet today, SCADA concept has become more simple and utilize the Intranet infrastructure. At the beginning, the control system has a device MTU (Master Terminal Unit) which has function as Control and Data Acquisition through one or many RTU (Remote Terminal Unit) which serves as a (dumb) Remote I / O via communication lines radio, dedicated line Telephone, etc. 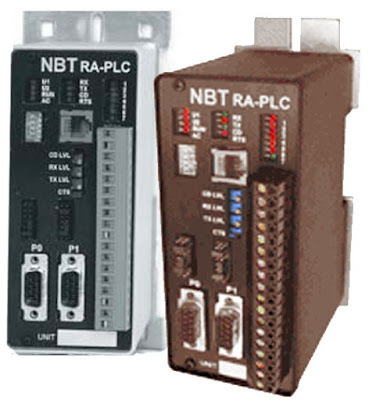 In some industrial applications, Telemetry Products from NBT consisting of The SM800 Series Telemetry PLC combines the functions of a data logger, programmable logic controller, and the controller communication into one powerful, cost-effective unit. RTU (Remote Terminal Unit) has several important roles in performing the function of Control capability, Recording capability, Alarming capability, Direct reports and alarms to PC, fax or pager. Telemetry capability is no doubt in terms of Data Logging - The SM800 is able to continue to track the performance of the equipment or process for a certain period. Capacity data logging device is capable of tracking unit 5600 stores the event (22,000 optional) including date and time stamp and the data can be transferred to Microsoft Excel, Access or DDE compatible software. This facilitates the reading and analysis of data. One of the functions carried this device is to monitor various points in a single piece of equipment, a complex process, or a complete facility. Remote Process Monitoring & Control - SM800 is relatively fast and sophisticated as it can perform real-time control and / or program the unit to control every point in the system and has control based on arithmetic calculations such as Min. / Max, run times, etc. 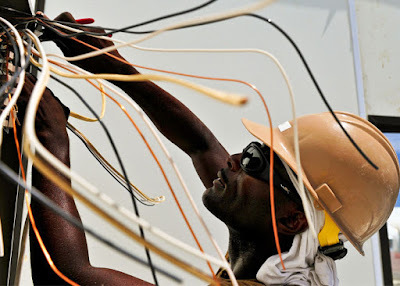 Fast data communication, without delay and accurate strongly support the performance of the system. The device is powered by three communication ports in each unit: two standard RS232 and RS485 a good, RS422, RS232, telephone or radio modem. Configuring the system becomes easier in a hierarchical network in which the remote unit can communicate with each node as other intelligent network. This allows to be configured in a system. Another advantage is the ability of peer-to-peer SM800 allows the remote unit to call other units are timed and / or alarm conditions. As the media early warning system, an alarm is very important function in the control system. This device is equipped with an automatic alarm system work with SM800 send a notification so that corrective action can be taken in the event of system error. Alarm call system can be up to six digits, including PC, FAX and pager. Users can choose one of seven different report formats for direct reporting of each FAX. The control device has versatile functions, as well as internal programmable logic controller and serves as a BASIC compiler allows the user to perform almost any data calculations are fast and scalable. No need understanding of complex programming languages, user friendly programming with "Fill Empty" spreadsheets easy to understand. After completion programmed, the connection to the equipment can be done with a simple process. Users do not need to hesitate to use this device because it has a lot of companies that use and supported by thousands of units in service for government agencies, utilities, OEM, Engineers and Integrators. Many applications in the industry SM800 perform a variety of tasks from the water and wastewater systems for site remediation monitoring, data logging and alarming. Users have many choices in using the base I / O for example Basic I / O options, 2 Digital In, Digital Out 2, 4 Analog In, Digital In 4, 3 Digital Out, 1 Analog In, 1 Analog Out. To meet customer needs, the device also features Expansion: Up to 15 I / O Module, Expansion Module Available, 8 Pt Digital In, 8 Pt Digital Out, 16 Pt Digital Out, 8 Pt Analog In, 4 Pt Analog Out, 4 pt Free Counter, 4x20 Display / Log Interface Module. RTU (Remote Terminal Unit) SCADA (Supervisory Control And Data Acquisition) SM800-Based Programmable Logic Controller can be used via the configuration architecture with low cost remote I / O using a leased line, dial radio modem or wireless connection. Ease of use and the many benefits obtained The SM800 and SM300 Series is fully compatible with each other and have been used together in a variety of telemetry applications make the device widely used. HMI (Human Machine Interface) is interface device between machine and man. It takes important role to increase productivity as far as capable of scaling from design, to machine to enterprise, along with mobile solutions Key success. HMI serves as a medium to control, operate and analyze the machines that operated using PLC. Currently, the are many products for this application. Below I will a little explain the various types of HMI are often used for applications in the industry. Important step in optimizing production is the efficiency of production machinery and materials at the plant. 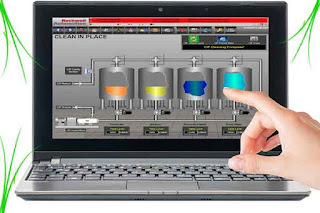 FactoryTalk® View Site Edition (SE) is the flagship HMI software to monitor and control the application of distributed-server / multi-user. This software is able to provide a comprehensive and accurate overview of the whole process of operation including engineering, maintenance, operations, and information technology (IT). FactoryTalk® View Machine Edition (ME) suitable for use as an interface for machine-level operator because it has superior graphics, user management run-time, and is able to switch the language and a faster time. FactoryTalk® ViewPoint widely used in applications control systems on the road, at home or in the office are able to provide a secure interface for access to FactoryTalk View Site Edition (SE) and Machine Edition (ME) in the decision-making real-time. This HMI can Optimized Communication with highly reliable client and server communication as long as we can serve and provide minimum requirement such as Processor: Intel Core 2 Duo or greater, Memory: 2 GB, 4 GB or more application server, 2 GB or more and medium to large system 4 GB or more and Operating System: Windows 8.1, Professional and Enterprise, Windows 7. Automation Training Chennai, Automation Training in Chennai, Automation Training Center Chennai, Automation Training Institute Chennai, Automation PLC SCADA Training Center Chennai"
SIMATIC WinCC is Siemens HMI Softwares as a bridge to give solutions on integrated engineering concept. 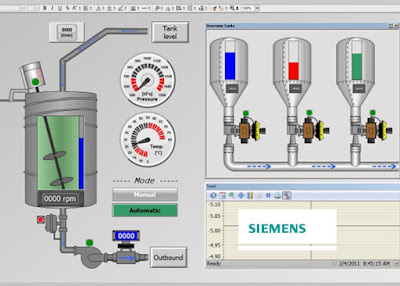 This Siemens HMI Softwares offers uniform engineering environment for visualization, drive solutions, configuration of control and programming. SIMATIC WinCC is part of the Totally Integrated Automation Portal (TIA) and becomes as new part of integrated engineering concept. Siemens HMI Softwares WinCC in the TIA Portal is the amazing software for all HMI applications designed for simple operation solutions with Basic Panels to SCADA applications on PC-based with multi-user systems. This is an all-new solution and rated better in overall cases with wide range of applications collated to its predecessor SIMATIC WinCC flexible. 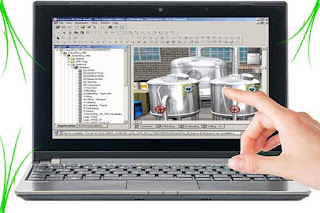 There are many benefits for the last Siemens HMI Softwares WinCC software including innovative configuration interface based on the latest software, comprehensive library concept and intelligent tools for graphical configuration and mass data handling. Collated to its predecessor (WinCC flexible), the new Siemens HMI Softwares WinCC in TIA Portal further enhanced with higher degree of configuration and efficiency especially when configured with SIMATIC S7 Controller as part of the automation solution. It provides perfect interaction with STEP 7 in the TIA Portal that prevents multiple entries and ensures for data management consistency all times. It cost too many benefits for users ranging from intuitive operation via integrated editors intelligence to the benefits of a shared database that ensures absolute consistency and high transparency. A perfect design of the software editors in the Siemens HMI Softwares WinCC TIA Portal based on the shared navigation concept and shared layout. All of the editor design matched to each environment like configuration of the hardware, logic programming, and design of an HMI screen and parameterization of a frequency converter. The software already configured with great library concept that provides users to create their own libraries, which can be easily reused. All of the concepts are the benefit of library concept of TIA Portal. Furthermore, the WinCC Engineering Software is open, flexible and future-proof multilingual application. Users no need to import and export the mass-data or text for the project. The SIMATIC WinCC Siemens HMI Softwares can be easily integrated with SIMATIC HMI operator devices and let you do various HMI functionality and performance profiles. SIMATIC WinCC Runtime Advanced visualization software is for single-user systems that placed directly at the machine. 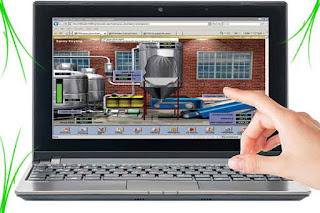 SIMATIC WinCC Runtime Professional visualization software is for visualization and operator control of processes, machines, plants, and production flows. The mechanism conducted from the simple single-user station to the multi-user systems and cross-location solutions with web clients. The optional for SIMATIC WinCC including all essential functions for monitoring of plants and machinery as well as for operator control. SIMATIC WinCC TIA Portal Engineering Software is the newer generation of the SIMATIC WinCC. This Siemens HMI Softwares offers wide array of library functions, monitoring and visualization. Users are also able to enhance the software functions for machinery and plants through obtaining the extra features available for SIMATIC WinCC (TIA Portal) Engineering Software with all HMI Tasks, supported by perfect TIA Portal design software configured with great library concept. "Leading Industrial Automation Company Provides Real Time Training in PLC, SCADA, Drives, MMI. PLC SCADA Training Based in Chennai. 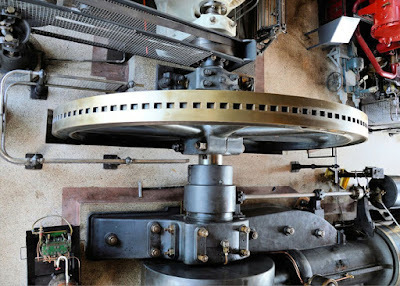 We are also Engaged in Supplying of Electrical and Automation Systems for Various Industrial Segments"
Sure Control Industrial Maintenance and Assessments offers practical solutions for industrial automation products that enable "world class manufacturing" to make sure the control is committed to continuous improvement of the services and products provide. This is accomplished through a full and accurate communication open between customers, suppliers and associates. Sure Control provides dedicated response unmatched partners so that customers enjoy superior experience. Sure Control Industrial Maintenance and Assessments team includes design, engineering and technical services and sales and back office to provide you with a great solution. In monitoring the course, Industrial Maintenance and Assessments Sure Control provides customized response unmatched partners so that customers enjoy superior experience. Technician’s skilled field service design Assembly panel we can solve small problems before they become large and expensive controllers, and helps maintain compliance and safety and avoid costly downtime. To maintain low costs and high productivity, and regular maintenance is essential. Availability of skilled technicians has additional capacity and expertise needed for maintenance is less expensive than regular staff. Industrial Maintenance and Assessments of Sure Control can help to maintain operations and your equipment in the constructors' specifications to ensure quality reduce scrap and eliminate the time wasted unwanted. Rest assured you will work with the best when you choose the calibration of our control to ensure your equipment running team at the optimum level. Sure Control has A2LA accredited to ISO / IEC 17025 calibration laboratory and the field. ISO / IEC 17025 first published in 1999 by the International Organization for Standardization (ISO) and International Electro technical Commission (IEC). This is the most important standard for calibration and testing laboratories around the world. Accredited laboratories to international standards have already shown that it is technically capable of producing precise and accurate testing and / or calibration data concerned. Accreditation is a voluntary review process of the party, the third. As part of the accreditation, the laboratory quality management system accurately evaluated on a regular basis to ensure the continued technical competence according to the standard ISO / IEC 17025 adoption of the laboratory can only be by accreditation body. Accrediting certainly that the controls may cooperate with it A2LA. That’s all about Industrial Maintenance and Assessments. There are many types of Industrial Automation Systems to answer the competitiveness of the industry produces more high-quality products and the most reliable in demanding competitive prices. To overcome these challenges in the industry considered a variety of integrated product design and new manufacturing techniques in parallel with the use of automated devices. One of the remarkable step and influence to get a solution to the challenges mentioned above are industrial automation. Industrial automation makes it easier to improve product quality, reliability and production rates while reducing production costs and design through the adoption of new, innovative technology and integrated and services. Industrial practitioners have many option to choose types of Industrial Automation Systems based on their needs. This industrial automation is advanced process one step a head using a specific mechanism machine to help human operators to perform higly result of many tasks. Mechanization is the mission manual process using powered machines that rely on setting up systems. Industrial automation enabled computers and machines replaced mans job. Automation gives meaning to simplify step mechanism for many industries application. It uses this type of automation to perform the surgery anyway and repeated to achieve high production rates. It is using a special purpose or special equipment to automate the collection or treatment of a fixed sequence of operations. After use, it is relatively difficult to alter or change the design of the product. Therefore, it is not flexible in providing a variety of products, but to increase the efficiency with increased production and reduced unit cost. Some automated systems have been drawn from the process, the paint shop and tankers. In this Types of Industrial Automation Systems, a certain class of product changes, as well as the collection, processing operations can be changed by modifying the control equipment for the auto program. This automated process is best suited for batch production where the medium size of the product to the top. But in this case, it is difficult to change and re-configure the system for a new product or a series of operations. Therefore, a new product or reconfiguring of a series of operations requires long preparation. Automation system provides automatic control equipment that provides a great deal of flexibility to make changes in product design. This change can be done quickly through the orders received in the form of a law by a human operator. Having options to choose types of Industrial Automation Systems allows manufacturers to automate the production of multiple products with different ranges, such as the combination process and not separately. Industrial automation system enable the use a set of automatic control devices technology that generate automatic process control in industrial processes with achieving superior performance and significant human intervention compared with manual control.